This year’s recipients of the the Dr. Earl H. Rippie Veterinary Nurse Leadership Scholarship were presented at VMX 2019 in Orlando. Marijuana, amphetamines, cocaine, heroin, and hallucinogenic mushrooms are five of the most common illicit drugs companion animals are exposed to. Here is everything you need to know about them. It can be challenging to find nutraceuticals that do what their manufacturers say they do — here’s what’s behind the hype of probiotics and prebiotics. Older patients may appear “healthy” for their age, but they often have multiple underlying organ dysfunctions that, when challenged by general anesthesia, can result in a cascade of detrimental events. This CE course will help you create an appropriate anesthesia plan for the geriatric patient. A dog’s digits are amputated for reasons ranging from osteomyelitis to benign masses to SCC and melanoma. Bella’s case was the author’s first experience with a diagnosis of digit osteosarcoma. Companion animals are susceptible to several potentially life-threatening toxicants, ranging from human food and medication to animal medication, common plants, illicit drugs, routine household products, and more. Is your veterinary clinic prepared? Rural Area Veterinary Services provides free veterinary care to underserved communities located in Native American reservations in the western U.S. It was life-changing for the author. Burnout prevention in the veterinary profession does not only fall on the shoulders of employers. 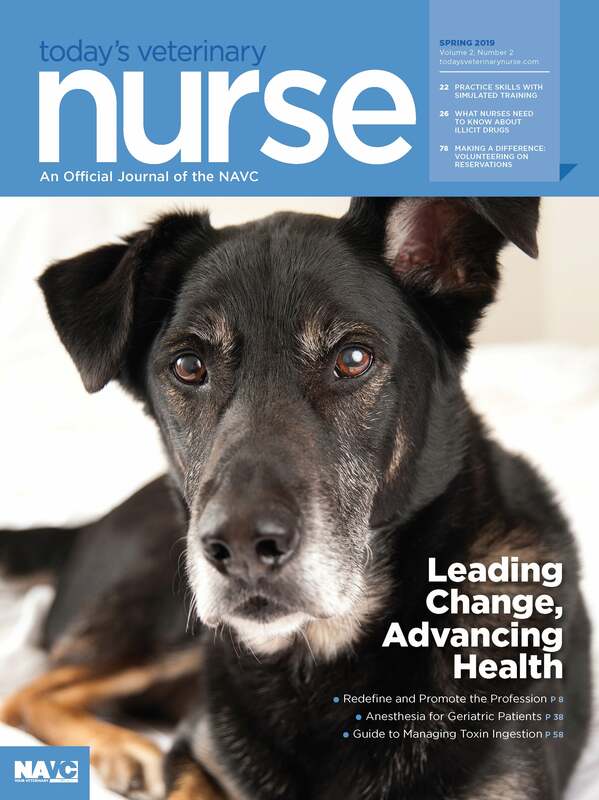 Veterinary nurses are caregivers, but in addition to helping patients, they need to care for themselves and their colleagues.